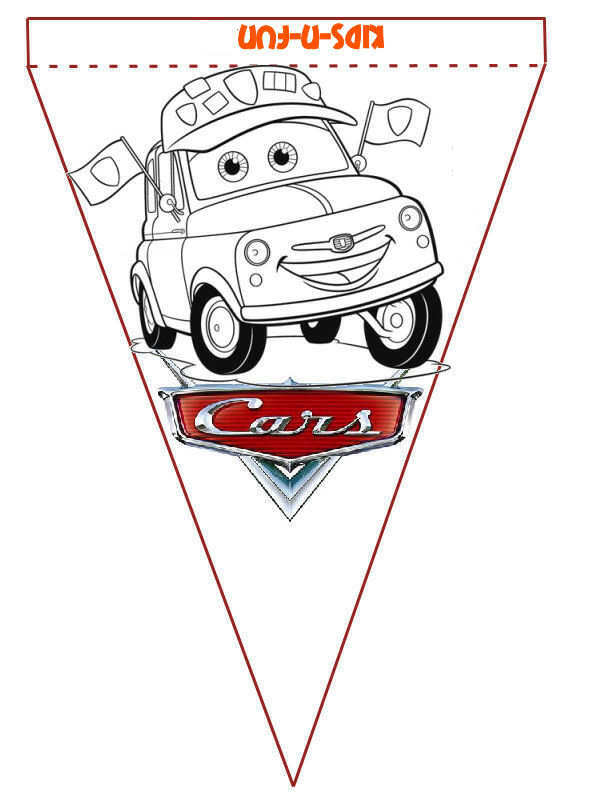 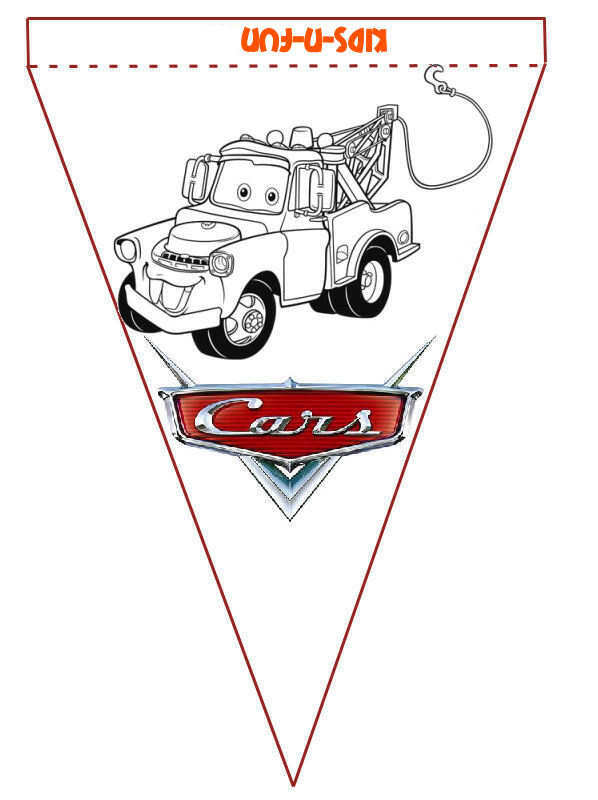 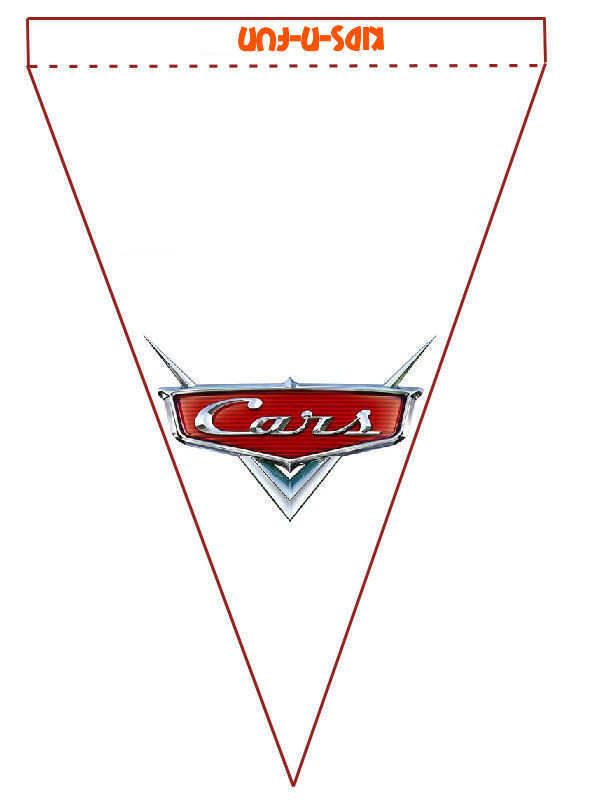 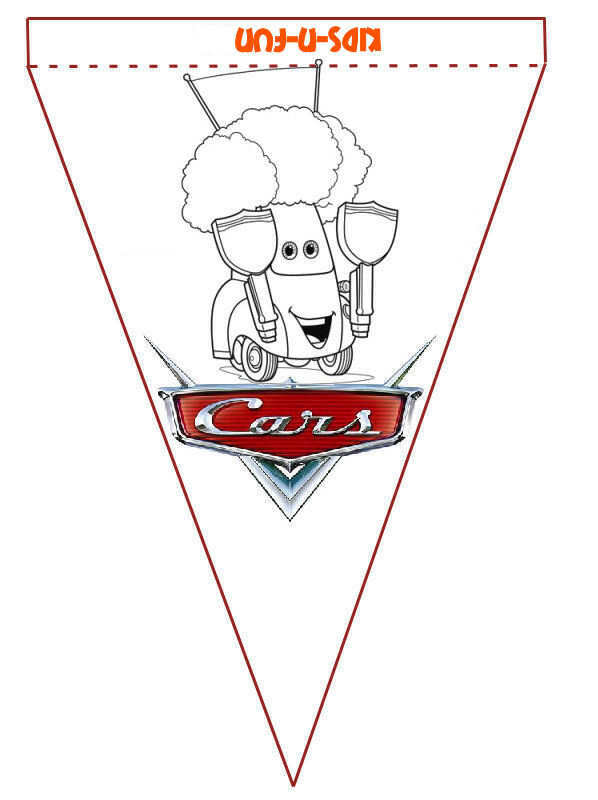 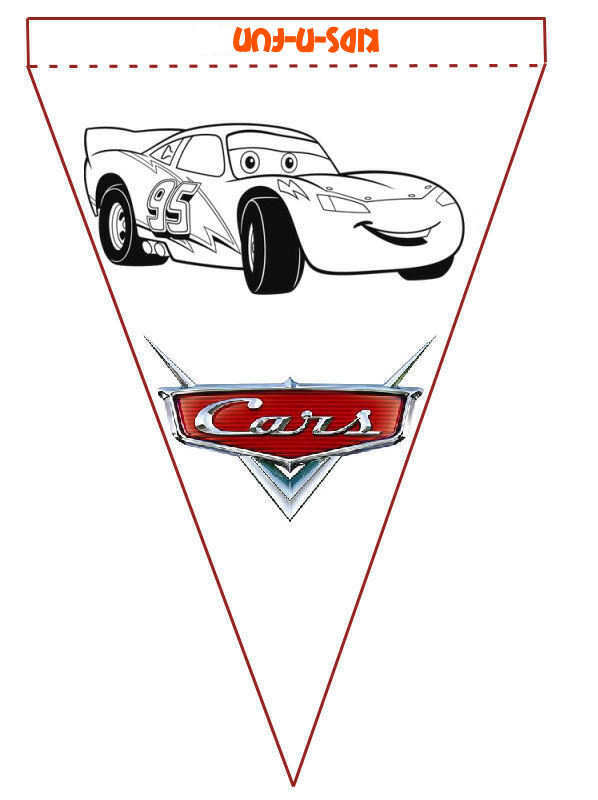 Create a beautiful birthday garland with these flags of your favorite Cars characters. 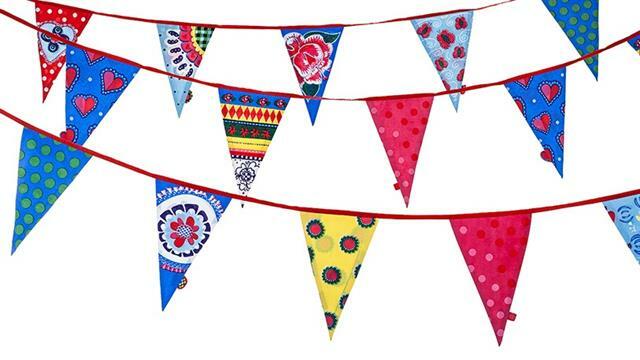 Choose the flags you like the most and print the falgs. 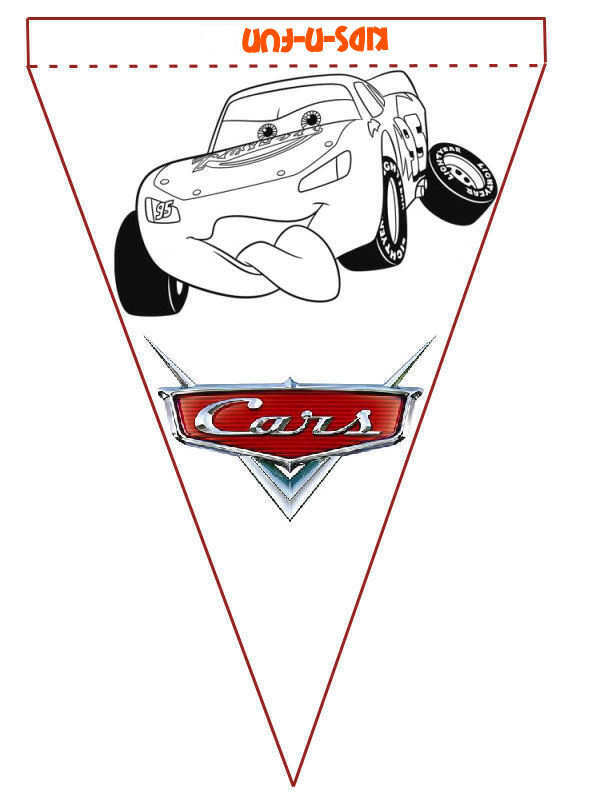 Color them and cut the flag out. 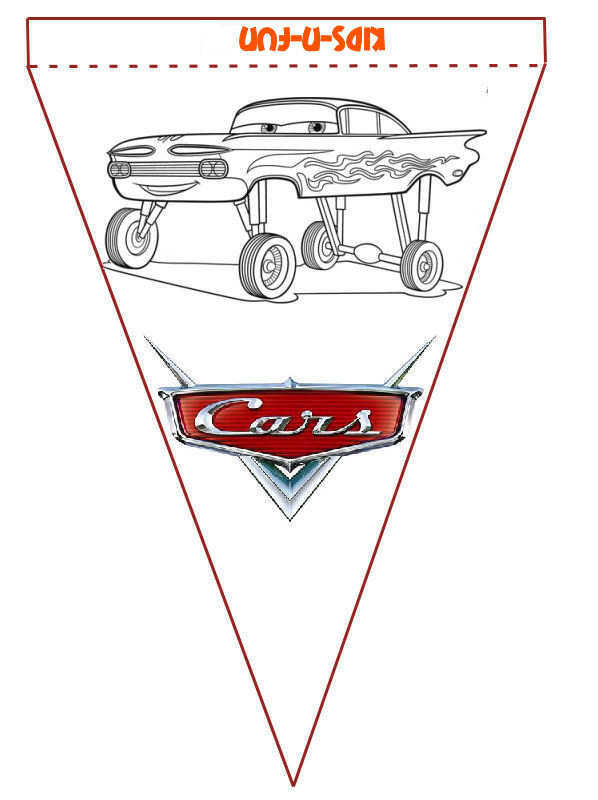 Fold on the dotted line and hang it on a rope. 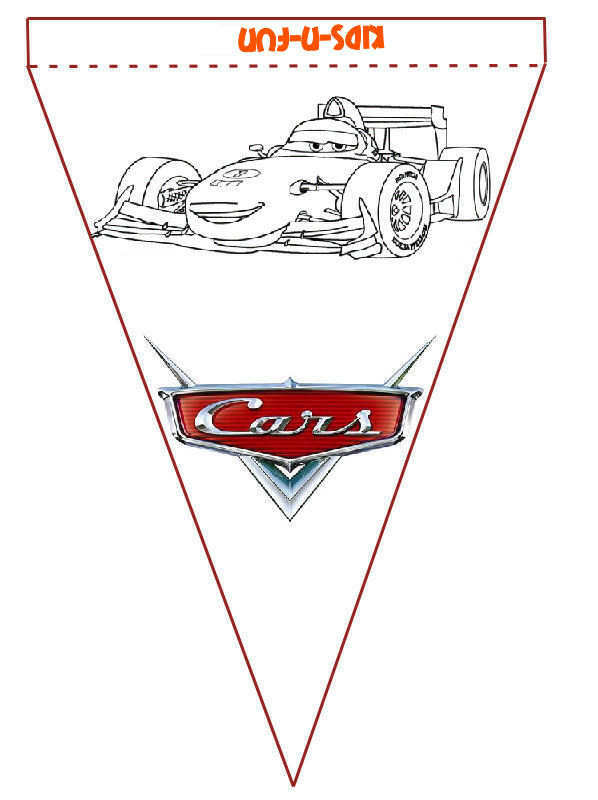 Glue the folded rim and you are ready..